Aspire at West Campus is a new housing development consisting of one and two bedroom units with spacious floors, modern amenities and high end finishes for graduate students and their families. More than just a residence, Aspire is an exclusive community designed to meet the lifestyle needs of today’s student. On-site amenities include a Community Center with fitness room, walking/biking trails, and a Cambus stop that includes routes through the campus and connects to the city bus line. 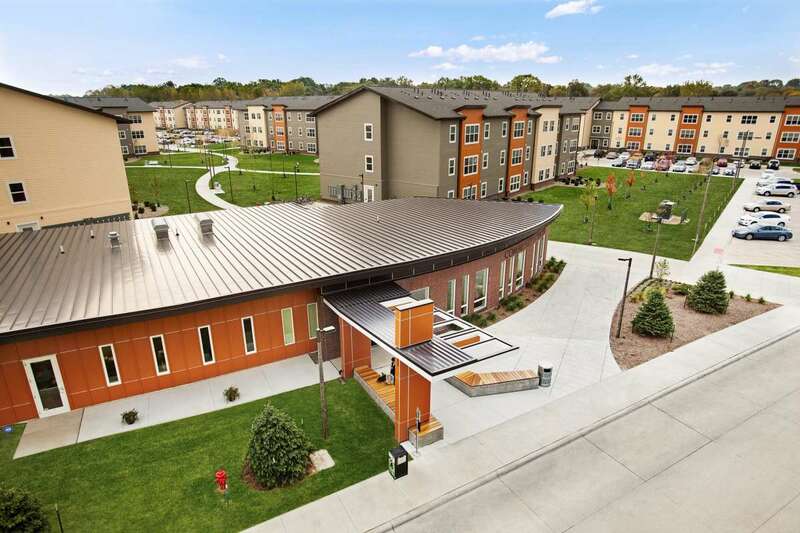 The community is located on the University of Iowa campus and minutes from the heart of Hawkeye pride, Kinnick Stadium and Carver-Hawkeye Arena. Just a short commute away, you will find numerous shops, restaurants, and great nightlife.